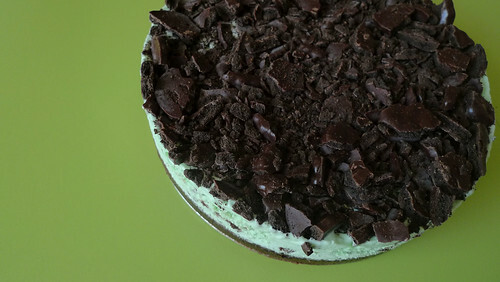 I made a minty ice cream cake for St. Patrick's Day tomorrow. This will probably be my last ice cream cake for a while even though my coworkers love them. 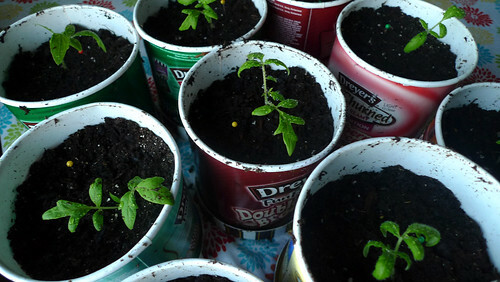 I have made so many because I was collecting the ice cream containers for my tomato plants. My tomatoes were getting so big they needed repotting. Now they fit their container and aren't so tall they are tipping over. The ice cream cake always looks good, and the tomatoes are doing great!! Can't wait to see the fruits of your labor.